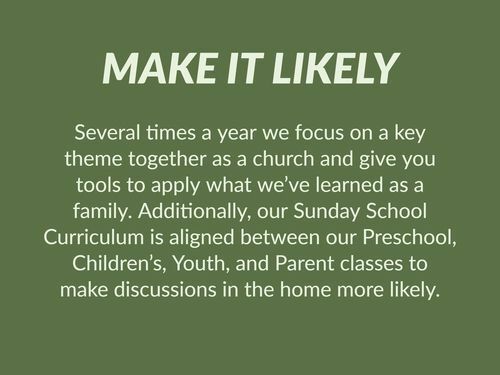 We strive to intentionally equip and empower our families to make disciples in the home, church, and world. 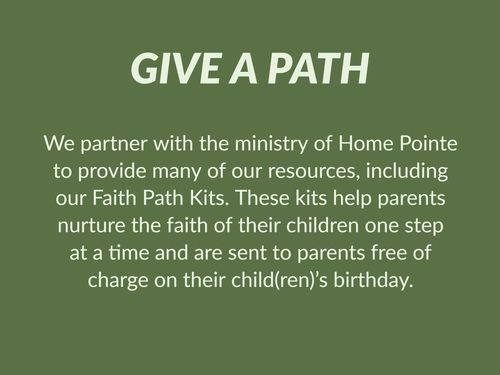 Below you'll find ways that we try to make this easy and likely, while giving parents a path to follow. 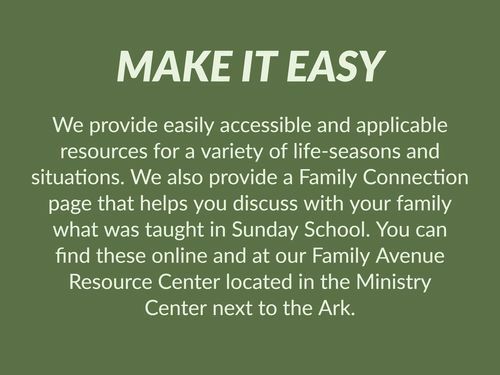 For even more resources, make sure to visit the Family Avenue Resource Center located near the ark in the Ministry Center of Friendly Avenue Baptist Church.